Libra constellation lies in the southern sky. It is one of the zodiac constellations, first catalogued by Ptolemy in the 2nd century. The constellation is represented by the symbol ♎. It does not contain any first magnitude stars. 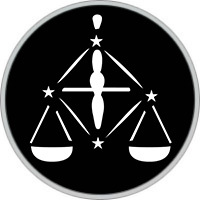 The constellation’s name means “the weighing scales” in Latin, and Libra is usually depicted as the scales held by the Greek goddess of justice Dike (or Astraea), represented by the neighbouring Virgo constellation. 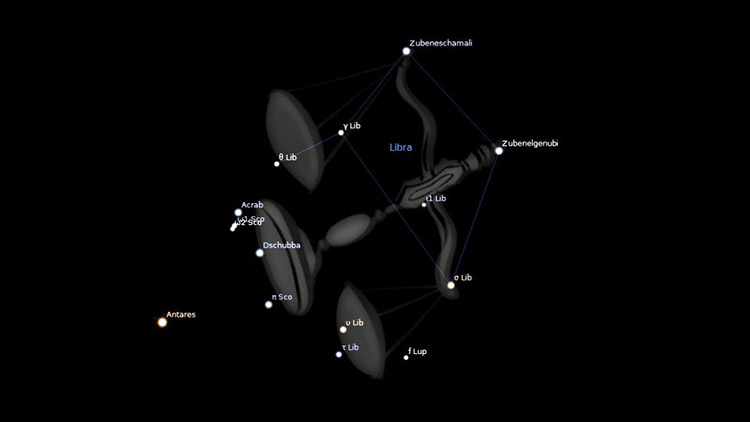 Libra is the only zodiac constellation that represents an object, not an animal or a character from mythology. The four brightest stars in the constellation form a quadrangle. Alpha and Beta Librae mark the scales’ balance beam, and Gamma and Sigma Librae represent the weighing pans. Libra is also home to HD 140283, popularly known as Methuselah, currently the oldest known star in the universe. Ancient Greeks knew the part of the sky occupied by the Libra constellation as Chelae, or “claws,” and considered it part of Scorpio constellation. Chelae represented the scorpion’s claws. The association of this region of the sky with scales was established among the Romans in the first century BC. It is said that Moon was located in Libra when Rome was founded. The Romans considered Libra to be a favoured constellation, one associated with balanced seasons and equal length of night and day. The Sun was at the autumnal equinox in Libra until the year 729, when the precession of the equinoxes shifted the equinox to Virgo. The autumnal equinox will move to constellation Leo in the year 2439. How to find the constellation Libra in the sky? At that time of its creation in Babylon, the Sun’s position in front of the constellation’s stars marked the start of the autumnal equinox, during which time the day and night, being weighed, would be found equal. However, with precession over time the Sun has now moved south of the ecliptic into Virgo, which currently marks the autumn equinox.